Engravable "Limited Edition" Beer Mug: ForeverWed Supply Co.
Everyone Loves an excuse to make a toast, and these handsome beer mugs are definitely toast-worthy. Each glass beer stein holds 15 ounces. 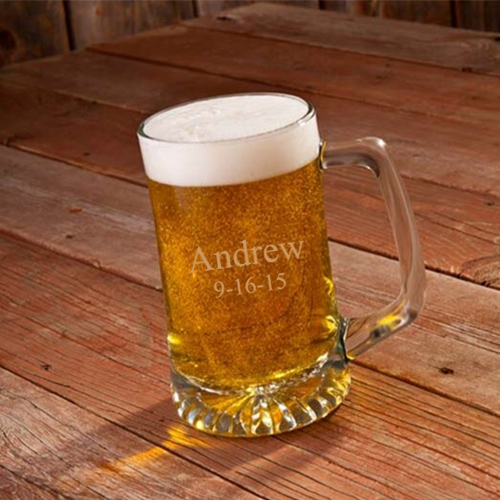 Have them engraved with up to 3 lines of text for a truly personalized groomsman gifts for $6.00. Beer glasses measure 5 1/2"h x 4 3/4"w.
Availability: This item is in stock and ships in two - five business days.